Wherever you are, supportive professional help is near. OUr Licensed Clinical Therapists can do online sessions throughout the state of California. Our Coaches are able to provide support anywhere in the wolrd. Online therapy is a great alternative to face-to-face therapy for people who frequently are out of the area due to travel commitments. For others, it can be a good option for folks who might otherwise not seek out therapy and counseling services. It also allows specific types of therapy, such as attachment-based modalities like Emotionally Focused Therapy (EFT) and Accelerated Experiential Dynamic Psychotherapy (AEDP) to be available to people living in remote areas where there are limited clinicians with highly specialized training in trauma, relationship or attachment couples and individual therapies. — Dr. Fredrik Holländare, School of Health and Medical Science at Örebro University. Recent research supports video and phone therapy as having an equally effective outcomes as in-person counseling. In 2011, Dr. Fredrik Holländare, School of Health and Medical Science at Örebro University. published his findings of studying the effects of Internet-based cognitive behavioral therapy (CBT) to treat ongoing depression and for relapse prevention. The 2013 study at the University of Zurich found that treating depression via online psychotherapy is just as efficient as conventional in-person therapy. Research shows that online therapy may also be an efficient way to provide PTSD treatment to a large group of individuals. A pilot study compared the effectiveness of online cognitive behavioral therapy and in-person supportive therapy in 45 Defense service members suffering from post traumatic stress disorder (PTSD) after the September 11th attack. 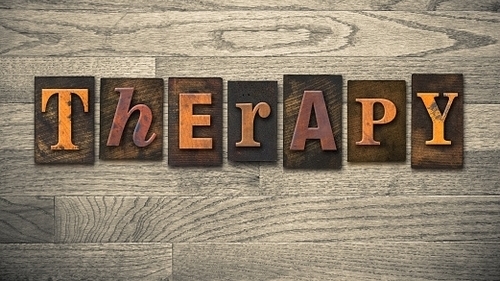 After eight weeks those receiving online therapy showed greater improvement. Six months after their first meeting those who had received online therapy continued to show improvement, in direct contrast to the in-person group. Professionals who commute and struggle to make it to an in office therapy session. Anyone who is interested in trying online therapy as a supplement to in person counseling or on its own. Please note that California Law only permits CA licensed psychologists and therapists to offer distance therapy for folks who are physically in the state of California. Life Coaches however, may offer distance services to those in other locations.